Houston – ABB has agreed to acquire Prairieville, Louisiana, company K-TEK, which will join the Measurement Products business unit within ABB's Process Automation division. The transaction is subject to customary regulatory approvals. Terms were not disclosed. ABB expects the transaction to be completed within the second quarter. "This acquisition fills an important space in our product line," explains Veli-Matti Reinikkala, head of ABB's Process Automation division. "K-TEK is well established, particularly in the oil and gas industry, which is a growth area for ABB. We see a lot of potential for synergy between ABB's extensive geographic reach and exposure to other industries, and K-TEK's depth in level detection technology." With over 350,000 installations since its founding in 1975, K-TEK is recognized as a global leader in magnetic level gauges, magnetostrictive level transmitters and laser level transmitters. 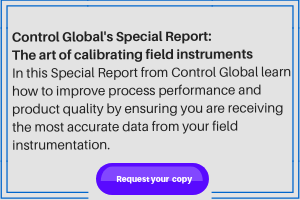 The company offers a broad range of level detection instruments, as well as pressure and temperature switches, and will have no overlap with ABB's existing product line. K-TEK has annual revenues of approximately $50 million and employs more than 250 people with operations in China, Netherlands, India and South Africa in addition to the U.S. The acquisition is in line with ABB's strategy to pursue growth opportunities that complement the company's product, technology and geographical portfolio.